Imagine that there is a medication you could administer to your teens that would help regulate their moods, increase their sense of trust, and improve their overall brain function. Imagine, moreover, that it’s free, has no negative side effects, and helps to boost the immune system. And it’s available in an unlimited supply. It sounds too good to be true, but in You’re Ruining My Life! Jennifer Kolari shows how her unique approach to parenting can have all these effects and more. Kolari’s CALM technique is based on the therapeutic strategy of mirroring . Used regularly, it can strengthen the parent–child bond and build emotional independence. Kolari provides information, advice, sample conversations, and anecdotal examples to show how parents can turn what they have learned into everyday practices that help them to reconnect with their teens so they can spend more time enjoying each other—and less time at war. Jennifer Kolari provides us with a clear-minded view of how to create and continue an open, attuned relationship with our children while they move through important and at times tumultuous transition from childhood to adulthood called adolescence. 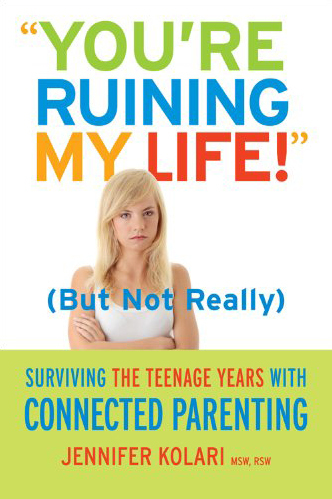 You’re Ruining My Life!” (But Not Really): Surviving the Teenage Years with Connected Parenting is an accessible and often entertaining guide to understanding the importance of communication in the parent-child relationship and how changes in the teen’s brain can make loving, supportive connection difficult to maintain. Filled with practical steps and memorable stories, the insights of Kolari’s important book will help the busy parent both survive and thrive through these crucial and challenging times. I will never forget the telephone conversation when Jennifer Kolari told me with great excitement that she had discovered—to her surprise! —that her technique of Connected Parenting worked, not just for young children for whom she had originally developed it, but that it was extraordinarily successful for teenagers as well. The result of this discovery is You’re Ruining my Life!, an indispensable guide for parents who may need more than intuition to help their teenagers thrive in an often challenging phase of development. Connected parenting works! This is more than a book on parenting, it is a blueprint for understanding healthy communication for all relationships! These techniques have become a way of life for our family and have helped me both professionally and as a parent. It will change your life for the better! If you too agonize—Why can’t he just say ‘okay mommy’, this book is for you. An extra challenging child is a gift; Jennifer Kolari helps you learn how to cherish it. Her empathetic ‘mirroring’ strategy works on the most wound up child—even on husbands! And now it’s in print, so we can’t forget the techniques. Jennifer Kolari helped steer us toward more effective parenting of the challenging child, so we could focus on the joyful gifts rather than the problems. If you need a reason to read it, turn to the back page—and Kolari’s poignant questions: What do I want my children to remember about their childhood? And, even scarier, What do I want my children to remember about me? Parenting doesn’t come with a textbook—Connected Parenting is close to it. All the secrets are revealed in Connected Parenting. These are the keys to unlock the barriers that exist between parents and children. For parents, educators and Family Medicine residents, Jennifer Kolari’s first book should be required reading. The tools are invaluable, but most importantly, they are effective and behavioural change will successfully occur. Reading this book is like being in a private therapy session with Jennifer Kolari. Real life scenarios are described. We are given the words to use when we face typical difficult parenting situations. Staying calm and using the CALM technique truly makes a difference in the life of the child and the life of the family. The mirroring method that is taught byConnected Parenting and is described in this book is very powerful and very effective. Now parents can have unlimited access to the excellent Connected Parenting techniques described in this book. A must read for parents, educators, and any other adults who want to connect in a deeply caring and positive way with the children in their lives. “Connected Parents” advises us not just how to parent, but far more important – who to be as parents. The therapeutic methods suggested by Jennifer Kolari are based not on simple-minded behavioral solutions, but on building warm, nurturing relationship with our children, with insight and compassion not only for their little flaws, but also for our own larger ones. How you respond to your child is how your child learns to respond to you. Focus on control when the child is oppositional or upset, and power struggles are likely to ensue. Focus on empathy, however, as Jennifer Kolari advocates, and concern for the child will encourage cooperation from the child, enabling the possibility for constructive change. With Connected Parenting, Jennifer Kolari provides a novel approach to parenting the challenging child. Her CALM approach (connect, affect, listen, mirror) is not necessarily instinctive for most parents. Instead of starting with advice on changing behavior, she begins with the more fundamental task of rebuilding frayed relationships and understanding the emotions behind the unwanted behaviors. Ms. Kolari uses mirroring, a therapy technique, as a strategic form of parental communication. The mirroring approach takes practice but accomplishes several important goals; it makes the child feel understood, diffuses emotions, and leads to opportunities for repair. Incorporated into the relationship with one’s child, the technique has long-lasting effects on the child’s behavior. Although Ms. Kolari directs her work toward the relationship with the challenging child, the lessons learned can be applied to all relationships. Connected Parenting is compelling reading for any parent who has been challenged by the relationship with his or her child. Connected Parenting is the ultimate survival guide for families. 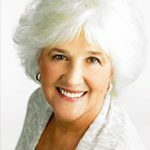 Jennifer’s methods restore the trust, respect and affection that difficult behaviours can undermine, while helping to manage those same behaviours with original, fresh techniques. Parents will see how their relationships with their children can be repaired and strengthened in ways they may have thought were impossible. Connected Parenting has changed how I interact with my son in such a positive way. More importantly, I see how mirroring is a lifelong tool that is essential in every relationship. 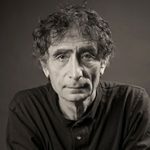 As a practicing paediatrician, I have had the privilege of observing the success of Jennifer Kolari’s therapeutic techniques over many years. Now that these techniques are available in this book, I will be recommending Connected Parenting to every parent who brings their infant to my office. I have known Jennifer Kolari for several years and have sent a number of children and families to her for therapy. I have worked with a number of clinicians in several children’s mental health agencies and clinics and have found Jennifer’s style and techniques to be among the very best. She has been able to effect change in the most complex families, with children who have ‘been through the system’ and been exposed to a myriad of clinicians and treatment approaches, none of which proved effective for them. With her approachable, warm, composed demeanor, and brilliant clinical skills, she has been able to connect with these parents and children, work closely with them, and make the family unit function again. The skills and techniques highlighted in this book are going to prove effective for parents and professionals alike. The concepts are sound, theoretically based, and truly work. This book is going to be required reading in any subsequent courses I teach on child and adolescent psychotherapy. Jennifer Kolari has taken her exceptional gifts as a child therapist and made them accessible to a wider audience. More than any other parenting book I have read, Connected Parentingoffers parents a framework by which they can demonstrate and communicate a deep understanding of their child’s inner emotional life. Calming your child and in particular mirroring, are much more than mere techniques. These are the building blocks of loving, enduring relationships.